I must admit the reality of my job is that a BIG portion of it is shopping. 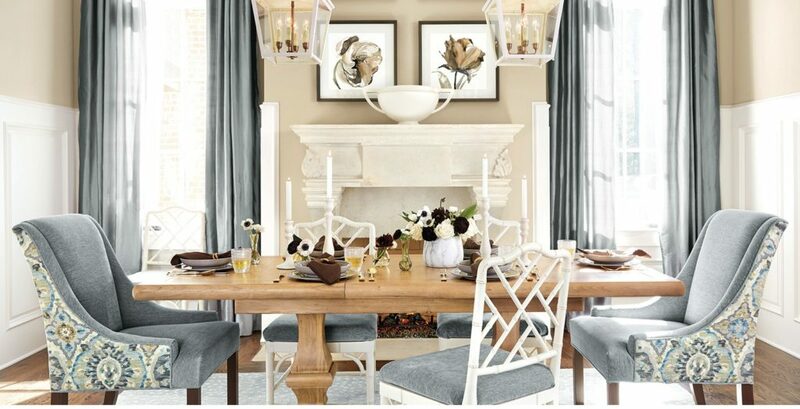 As a designer and lover of all things home and home decorating I shop ALL -OF -THE -TIME. I may not be looking for anything in particular, but shopping is my thing. Thank goodness for me, it truly is all part of my job. Admittedly these days it is much easier for just about anyone to find just about anything they could reasonably want by simply searching the internet. The funny thing is though, I still get calls, emails, and texts from friends and family who know what they want but don’t have the first idea where to look when they want something in particular. Or they are completely overwhelmed by the choices they have. The process of online shopping although it may seem oh so easy, is in reality work and you need to be very careful. Scale, proportion, and color are all difficult to judge online and even more difficult form most to visualize in their own space. My first thought was to create a post of online shopping ideas for _______ (insert whatever item you need). BUT Before I create a list of websites to visit and catalogs to check out I think it’s only appropriate that I preface that with a list of my suggested do’s and don’ts s of online and catalog purchasing. A check list if you will to minimize mistakes and returns. I can tell you FOR SURE that ordering, following up, tracking, receiving and dealing with damages, incorrect orders and every other miscellaneous thing is the most difficult and annoying part of the process, but it is a BIG part of the process. The ordering is just the first step. But Expect that there will be problems. There always are. And if by some slim chance you get through with no issues – consider yourself fortunate! 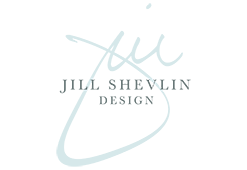 Here are some of my designer tips and good practices for internet shopping and ordering for the home. 1. Make sure you can return it! Not only do you want to have the security of being able to return any items that don’t work. You need to know How much it will cost to return it. There may be a restocking or repackaging fee. It may only be returnable freight (for larger furniture items) and you will have to schedule for them to come and pick up. 2. Know how much your freight bill will be and all the details that are required for delivery. Will they bring the item in the house? Will it require a loading dock? Will an 18-wheeler fit down your street. Will the item come packaged, crated, or blanket wrapped? Will it fit through your door, elevator or up your stairs? 3. Check – Double Check and then Triple check the dimensions. Everything is misleading in photos. Check the size. My 6’ 4” brother sent me a great sofa he was considering purchasing. When I looked, it was an overall size of 60” x 22” x 30” which is a love seat, he wouldn’t have even fit in this tiny little love seat. He never even thought to look. Many websites today have image comparisons that will show another item for reference. It has happened to me so many times! I purchased an outdoor sofa for my house recently and it was delivered and only 12’ high. Even I make mistakes ? 4. Make sure you know what KD means. If you don’t know – KD – stands for Knock Down. Which in plain English means you’re going to be putting the thing together. If everything in life went as well in real life as we planned, it would be a carefree and easy experience. However, I can barely put two sticks together! With Directions. When I see KD – I run the opposite direction – or hire someone to do it for me. The advantage to KD is it is usually cheaper because the freight and shipping will be less because it can be packaged nicely in a standard size box. But Beware. 5. But Expect that there will be problems. There always are. And if by some slim chance you get through with no issues – consider yourself fortunate! Here are some of my top Web Shopping Sites. Most are higher end products, but if you are an internet sleuth or shopper you can always find something similar somewhere else for less. 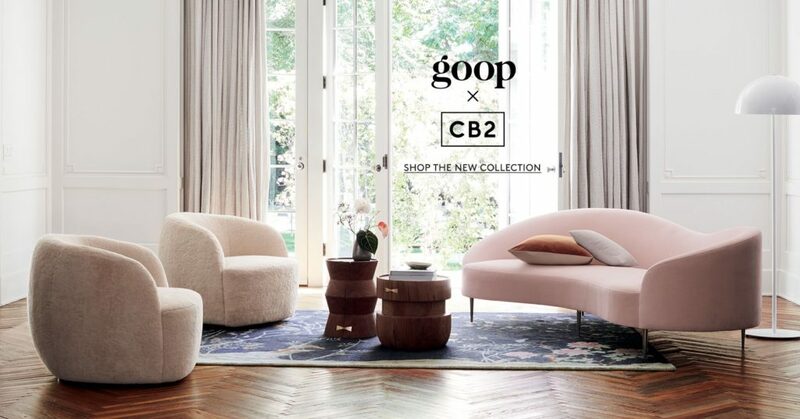 This is the high-end version of Wayfair. The Perigold site has tons of high-end vendors and the pricing is appropriate for the level of product they have. I was impressed with the white glove delivery they provided. I ordered lamps and they were on time, called prior to arriving, unpacked and even put a light bulb in, placed the lamps and plugged them in. It turned out I didn’t keep them, and the return pick up service was just as professional and convenient. 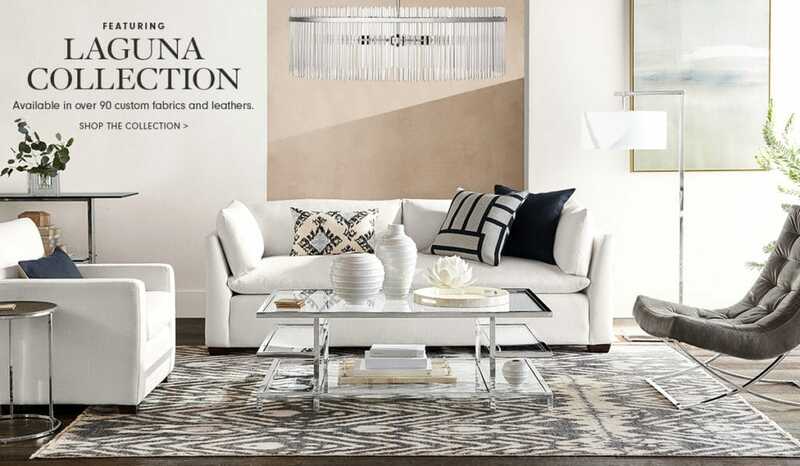 I really like the products on William Sonoma Home, they are more in line with high-end designer pieces and the shop by look section features well-known designers. Ballard is a what you see is what you get. The prices reflect the product. I wouldn’t suggest furnishing your whole house here, but a few items here and there you can’t beat their prices. This is the over the top anything you are looking for – they have site. My thoughts…again -you get what you pay for here. Could it be too good to be true to find a barstool for $89.00? You buy an $89.00 bar stool – you get an $89.00 bar stool! Don’t expect it to be something more than what it is. I really love the unique products Wisteria has. I think the pricing is appropriate and fair. They have a great selection of products you don’t find in every other catalog. I love the look of Serena & Lily and with their success of late – so does everyone else! A Cute beachy vibe for sure. I’ve only ordered linens from them but have visited a couple of stores and it is a fun store. I worry though with their popularity soon too many people will recognize their exclusive products and well do you remember the “Friends” episode about Pottery Barn? If you don’t and want to Google it and get a good laugh. I have been ordering from Rejuvenation since way back in the day! A long time ago it was where to find unique lighting but has now grown to include rugs, furniture and antiques. They have gone through some changes over the years, but still a go-to for me for an industrial vintage vibe. Prices are across the board, some are good some are high, but a well trusted source. I am a fan. I cannot lie. Again, it’s not anything I would use through an entire house. But I think the accessories are current, priced well and cute. I’ve never left without something. Prices are great for what you get. Love it. Who doesn’t love an everything in one spot store? They have everything but not much in furniture stays current season after season. I have used pieces of C&B in several of my projects and would use them to this day if still available. 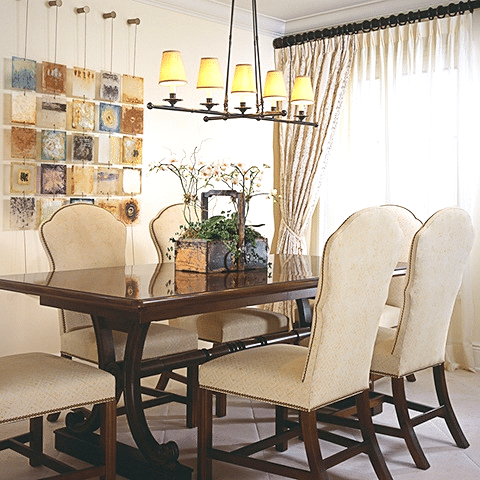 The chandelier in this Dining Room was from Crate & Barrell, I loved it and used it several times before they discontinued it. Crate & Barrell’s more contemporary cousin. Same thoughts here but love their look. It’s more modern and more of a NY City loft vibe but you can find all kinds of good stuff here. 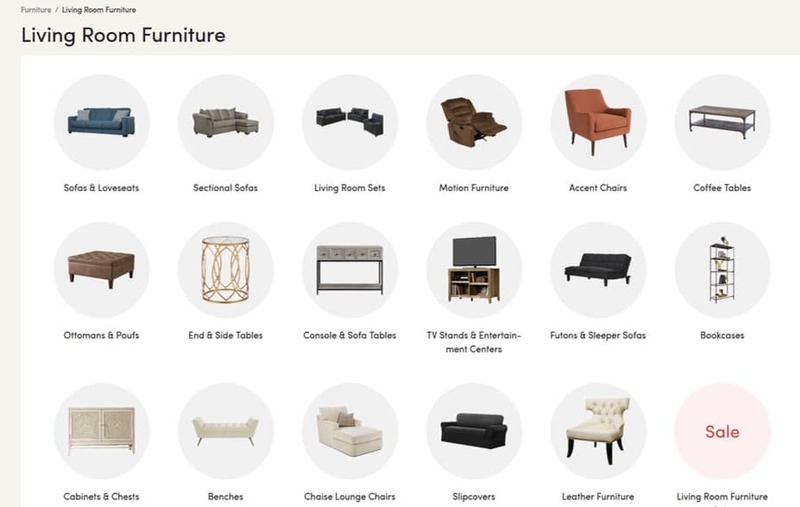 I was originally surprised to find so many furniture pieces on Nieman Marcus site. I would have to say I have a 50/50- love/hate feeling about the pieces they offer. Some are great and some I can not even imagine who would Ever want or buy some of the pieces they offer. But still, a good place to look for bones pieces and a great place to get a feeling for pricing if you haven’t been shopping for furniture in a while – it can be a reality check. I love the products but get tired of them quickly. I am surprised how often I see Mitchell Gold products in TV shows. Again, more of a modern vibe, but good quality. 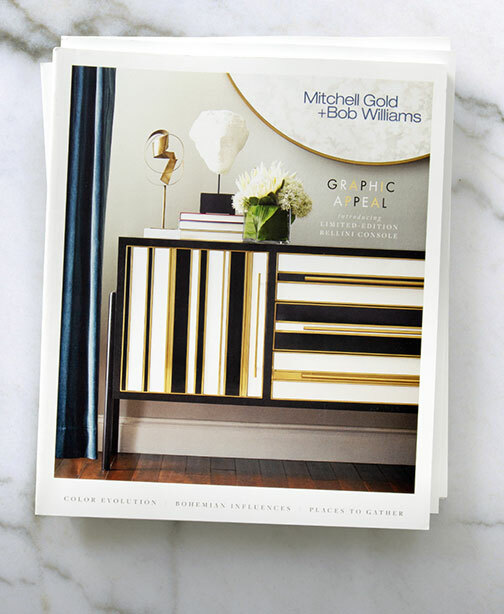 Although we live in an instant gratification society these days, often catalog sites stock products and Mitchell Gold is more of a custom-made product. Which means 1. You get more choices in color – finish and yes – you will have to wait for it. 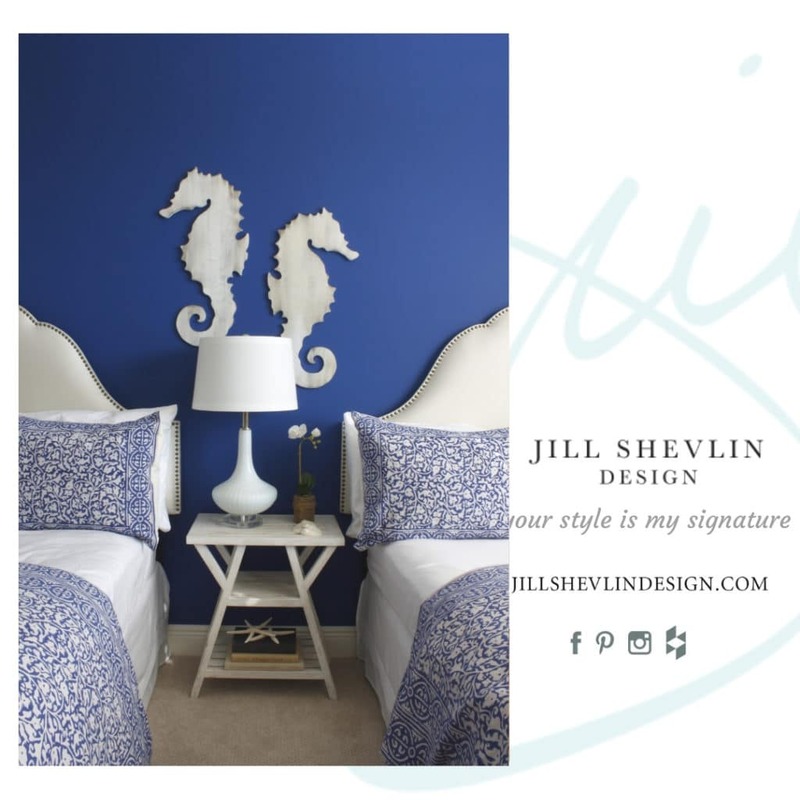 One of my favorite sites for myself is Overstock.com I have ordered a few items for clients from here and my own personal bed (that I still love, love, love) is a four-poster chrome bed with an upholstered headboard is from here. At the time I paid $800.00 for it. With that said, shipping is free to you. Return shipping if it doesn’t work out is not free. I cannot stress how important making sure you like it is key to ordering online. You could easily end up paying double for something if you don’t like it and must pay shipping fees. So, my friends here’s to happy shopping. I will have more to add in the future I am sure.